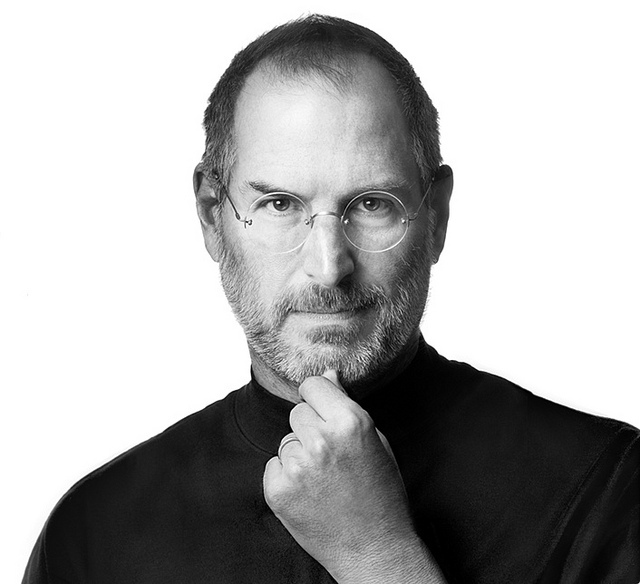 Steve Jobs was a insanely creative and innovative guy. He was also a guy who faced a lot of failure in his life. He was a college drop out who was at rock bottom but who found a way to get back to the top and take classes that he was genuinely interested in. Then once he had that company, he ended up getting fired from the company that he helped create. Then his work began with Pixar and he found his way back to Apple. He had a complicated journey to the top and even though he died of pancreatic cancer in 2011, he still was a success story. Years before his death, he gave a commencement speech to the graduates of Stanford University. I’m going to list several important Steve Jobs quotes and most of them come from that speech. So this is the quote that helped me come up with this theme because it’s a quote that I come back to fairly often. Underdogs seem to have the whole world against theme but somehow they manage to find something or someone to believe in and they find a way to reach some level of success. Some of the things I’ll be talking about this month include: Broadway musicals, Disney movies, books about the world being against you, movies about finding a way to overcome, and also a few rad playlists, one of which will definitely be for those of you studying for finals. Plus there will be many more things that are going to be a surprise so stay with me this month! Sidenote: Since I’m a day late getting started, I’ll also put my first post that should have been today sometime later on in the day so I don’t get too behind with my posts. There are several sports that I really haven’t touched on yet this month. Unfortunately, there’s 30 days in April and there’s many many sports that I could talk about. However, I didn’t really want to talk about sports that I don’t know much about. So I just stuck to what I know the best which isn’t exactly a lot of different sports, just the main ones. I thought it’d be best to at least acknowledge these sports. I think hockey is a really awesome sport. It’s one that definitely doesn’t get enough credit. I mean, what other sport has so much physical action? Basketball, football, and baseball don’t have the type of physical contact and the fouls are hardly ever called. Like one hockey player once said, hockey gives you a free nose job. Hockey does have it’s pretty big stars but only a few of them, much less than the main sports I’ve already mentioned frequently this month. But here is my much too short talk about hockey. I’m sorry I couldn’t talk about it longer, I’d just sound uneducated on the sport (because I am) so I’ll stop here! One of the biggest sports in the world. It has a much bigger appreciation and following in other countries but I think it’s sort of catching on in the United States. The World Cup had such a high rating when it was on this summer. Pretty much everybody was suddenly a huge soccer fan but not so many people care during the actual season, but that’s typically how it goes. A lot of the most popular players aren’t actually American, but again, the World Cup gave some American soccer players attention like they’ve never seen before. Outside of the World Cup, there really isn’t much to say about the sport. I think the clubs and how they organize the teams can be a little more complicated than what I’d like for it to be. But it does deserve it’s special shout out since there are so many people who play the sport and also love watching it! I love swimming for fun but it was never something that I was good enough to do as a sport. I think it can be a really fun sport to watch, especially during the Olympics. There’s also several different popular athletes I can name off the top of my head: Michael Phelps, Ryan Lochte, Mark Spitz, etc. Okay, let’s be honest, Michael Phelps is easily the most popular but Ryan Lochte is pretty up there too. Lochte is most famous for his attitude and vibrant outspoken personality. Phelps is most famous for his incredible swimming and his weed smoking. There are also many talented women swimmers who deserve some recognition as well. Both men and women swimming teams were absolutely dominant for the United States in the Olympics back in 2014. It was a really fun time to watch and I can’t wait for 2018 for the next one. The Great Bambino said some incredible things during his life. These are some of the most memorable and striking quotes. Okay, continuing where I left off yesterday. Today, I’m going to look at some of the best starting pitchers, relief pitchers, and closers that we have this season. Franky is one of the best pitchers that we have. Sometimes he can be really on his game and other times he can be a little off and start to throw crazy pitches. He’s not really the type of guy who always shuts you down but he’s still crazy talented nonetheless. He’s had a lot of success here with the Pirates and I definitely expect that to continue. Hopefully, he gets even more controlled and on the ball but either way, he’s still a quality member to the team. This young pitcher was recognized by everyone when the high school prospect did well during his major league debut. The pitcher has continued to turn up the heat and to impress. The big issue with Cole is that he seems to get rattled easier than some of the other more seasoned pitchers. He’s still a young kid with a lot of growing room left. He hasn’t been sent down since he came up to the majors and I highly doubt he will again. He gets outs when he needs to and he’s kind of the same as Liriano in the respect that when he’s on, batters need to be worried. But he’s off, wild pitches can really hurt the Pirates. Another starter who’s still fairly young. Locke was an all-star not long ago and after that, he kind of lost his control for awhile. But I think he’s definitely gotten it back to an extent and he’s shown more control than in the past. Like the previous pitchers mentioned, he just needs to stay composed and not let his pitch get out of control. He gives up a lot of walks which seems to be the case for the majority of the starting pitchers. He’s an all-star for a reason, this lefty is one to watch for sure. A.J. was one of the best and most reliable pitchers for this ball club before he left for Philadelphia. Burnett took Edinson Volquez’s spot in the rotation. Volquez was arguably the most consistent pitcher we had last season and he will be missed. But still, it’s nice to have A.J. back since he knows what he’s doing and we have a lot of trust in him as a pitcher. He didn’t have the best season with the Phillies but he didn’t have the worst either. We can only hope that 2013 A.J. will be back and he can finish his career on a high note here in Pittsburgh. This young pitcher is filling in for Charlie Morton- another one of our best, who’s currently on the DL. Charlie needs to get back to Pittsburgh but Vance isn’t the worst pitcher either. He’s no Charlie (Charlie on a good day I mean) but he still has potential and it’s nice that the ball club is giving him a chance to prove himself as the starting guy for now anyway. Hopefully he can impress us a little bit more and secure a couple of wins along the way. Sometimes it can be hard to understand why Tony Watson is in the games at certain times. For instance, if he gives up a homerun and still remains in the game, or something similar to that. Truthfully, I can remember more negative moments of Watson’s than the positive but he still is a trusted relief pitcher who typically can get us through the game and to the closers. I don’t know many of the other relief pitchers since Justin Wilson is no longer with the Pirates and we have some new players. So I’m just going to stick to talking about only Tony and move on to the big closer spot. It can be hard to want him in the game sometimes because he can make some costly errors to say the least. But Melancon is also pretty close to the closer that Jason Grilli was. It may not always be pretty, but he typically manages to get the outs needed and at the end of day that’s all that really matters. He has the same amount of saves as Grilli and that’s pretty impressive since there was a lot of hype behind Grilli during his time as a closer in Pittsburgh. So when he’s doing good, it’s easy to cheer for Melancon.